Home»All»Houston Area Homeschool Days, Labs and Classes! Houston Area Homeschool Days, Labs and Classes! Houston homeschool families often contact me asking about what is available around town for their kids. Here’s the list of homeschool days, labs and classes I’ve found… but please tell us what to add! 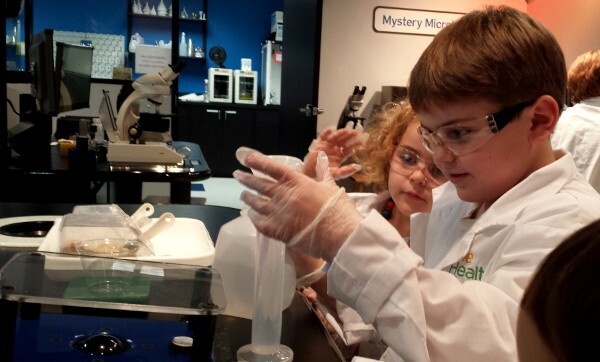 Houston Health Museum – Labs and classes are available for homeschool families. Get the details HERE. Museum of Fine Arts Houston – The museum has a Homeschool Family Workshop for kids 6 and older. Be sure to pre-register. Glassell Junior School (Museum of Fine Arts Houston) – Full and half semester formal art classes for homeschool students ages 4-18. Children’s Museum of Houston – Homeschool students unlimited access to 14 galleries. Pre-registration is required (and no dates are on the calendar at the time of this post). Get the details HERE. Rosenberg Railroad Museum – Throughout the year, homeschooled students, ages 7-12, are invited for educational classes and events. Space Center Houston – Learn about space exploration at Home School Day. Be sure to pre-register. Little Beakers – Weekly hands on experiments for homeschool students. For ages 6 and older. Houston Zoo – Homeschool activities are offered twice each month. Get the details HERE. Downtown Aquarium – Homeschool students are invited out for an educational day at the Aquarium. Moody Gardens – Discover the amazing world of rainforests and oceans as you participate in programs and exciting, hands-on activities. Get the details HERE. Houston Arboretum and Nature Center – A different 3 week science unit is taught each month for kids ages 5-12. Get the details HERE. George Ranch Historical Park – This living history ranch has a Tales of Texas Homeschool Day, geared at kids in grades 2-5. Dewberry Farms – A day is reserved just for homeschool students. Get the details HERE. Iron Sports Gym – This official American Ninja Warrior gym has a home school class, for kids age 5 to 17. Get the details HERE. Discovery Gymnastics – Year round classes on Tuesdays and Thursdays, for ages 5-12. For more Houston homeschool resources, go HERE!